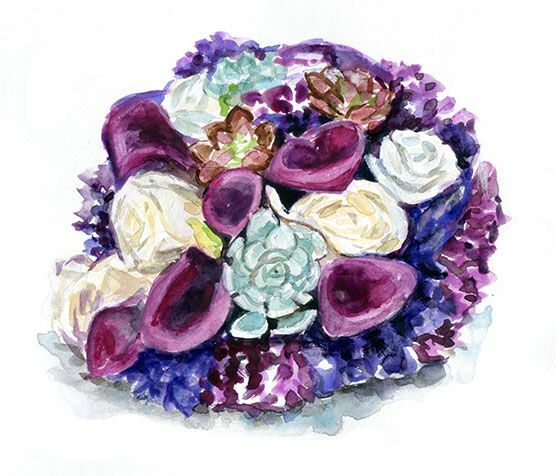 Commissioned painting of a (wedding) bouquet. 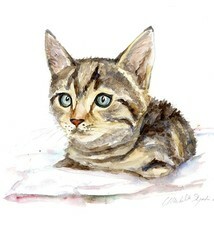 Painted in watercolor by Michelle Dujardin. 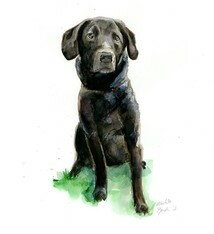 I make commissioned paintings and portraits for clients all over the world. All assignments are professionally painted on 225 grams white paper. 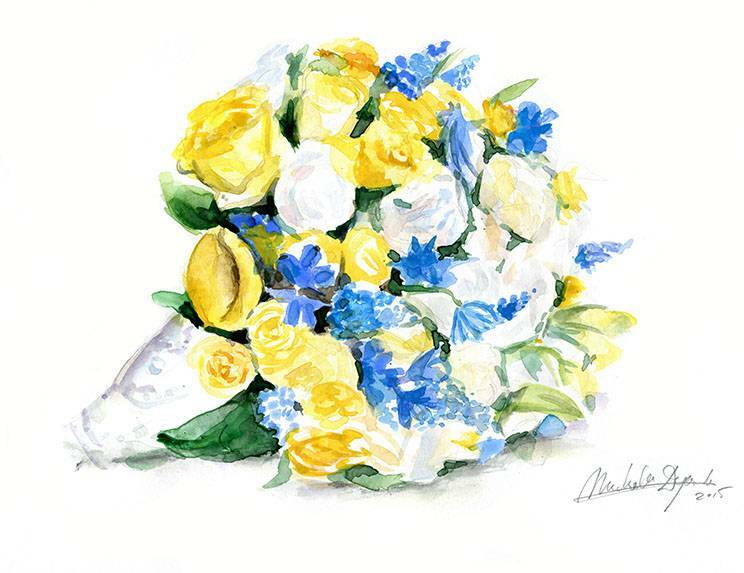 In this listings you can see several examples of wedding bouquets that have been painted by me in commission. 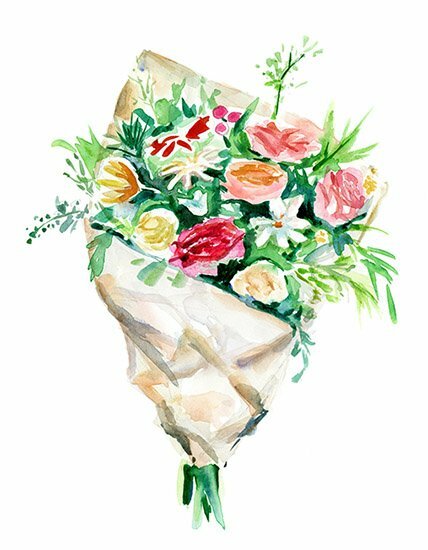 Before I start on a painting I will personally contact you -by phone or email- to make sure that the end-result will meet the standards and wishes you require. If necessary I will also contact you during the painting-process if there are any questions on my side, or if I want to clarify something. Everything to make sure the you get the painting that meets your requirements. 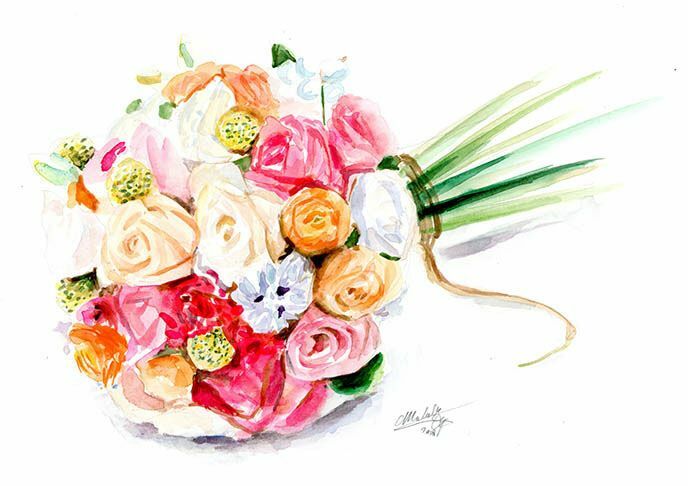 BE AWARE: The paintings shown are not for sale but examples of wedding bouquets that have been painted in commission by me! The sizes of the paintings I make are shown above in the listing. 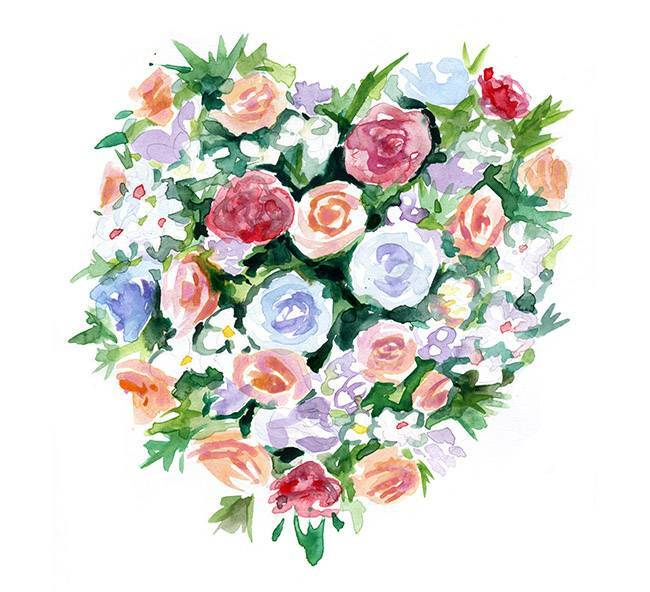 Pick the size you would like me to paint your wedding bouquet in and place that size in your shopping-cart. If you would like it to be in a size that is not mentioned do not hesitate to contact me! 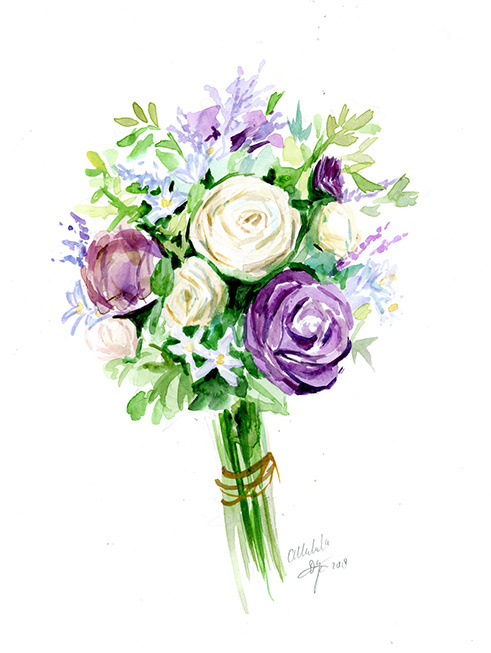 After you have placed the order please send me some photo's of your wedding bouquet via email (info@michelledujardin.nl). I prefer to have multiple clear photo's if possible, which show the bouquet from different angles. 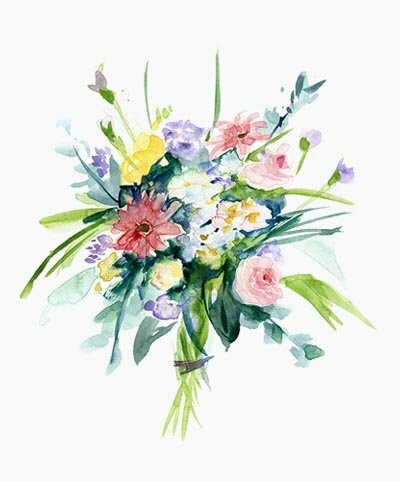 Please pay attention to the quality of the photo's (the better the quality, the better my painting will represent your wedding bouquet). The best photo's (3-5 are usually sufficient) are the ones made in daylight.